Item: CVA 374-250 - Ketchikan nestled at the foot of Deer and Doe Mountains, presents a picturesque frontier town appearance. Item : CVA 374-250 - Ketchikan nestled at the foot of Deer and Doe Mountains, presents a picturesque frontier town appearance. 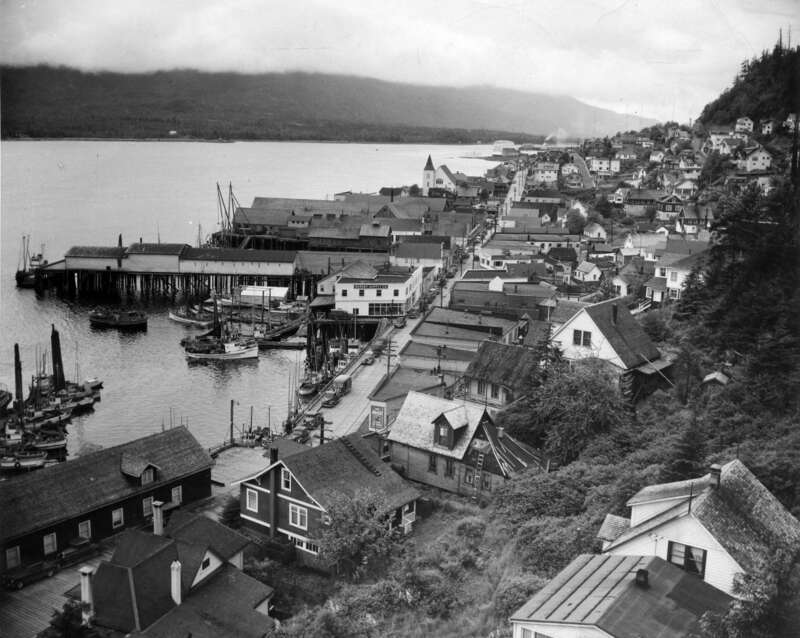 Ketchikan nestled at the foot of Deer and Doe Mountains, presents a picturesque frontier town appearance.